If your little girl is like mine, she loves dressing up for holidays. It is getting harder and harder to find fun Valentine's Day clothing at the store, but this easy DIY Valentine's Day scarf will solve that problem. I know my daughter would absolutely love to wear it to school on Valentine's day and every day after that. Just my luck the weather is back in the 70s this week. Maybe it will cool off again in February. 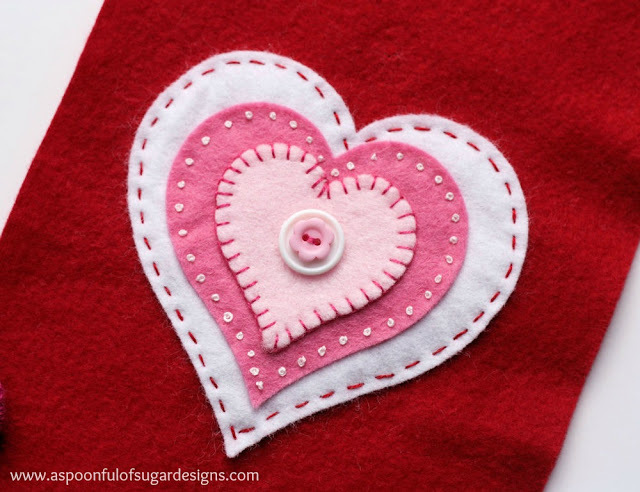 You can check out how to make a fleece Valentine's Day scarf for kids over at A Spoonful of Sugar.